Client Gallery Another successful South Dakota pheasant hunt. Another successful South Dakota pheasant hunt. Merganser's Rippin Reba (Merganser's Classic Rip-N-Tear MH X Merganser's Little Liza Jane). 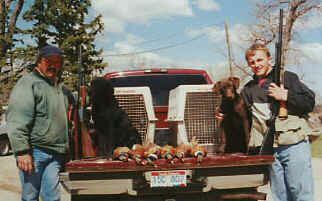 Reba retrieved 11 pheasants at age 7 months.